In my usual forays around the internet today, I came across this article about how Lush UK is abandoning social media. Their reason? And honestly, this is refreshing to see. If a big brand like Lush is tired of fighting with the monsters that own Facebook and Instagram, then it doesn’t feel quite so bad to be a small dojo swimming against the algorithms all the time. I worked as a social media manager in my past life, before I ran away from corporate to become an instructor, and it was a constant battle of shiny, happy updates and vapid copy, my English degrees weeping on the wall while I used hashtags and SEO-friendly babble to sell books, or book launches. To this day, I still cannot abide hashtags, which are an abomination unto the flow of language and conversation. Seeing them anywhere other than on a phone keypad and Twitter, where they started their rise, and where they should stay, gives me hives on the inside of my skull. Billboards, whatsapp chats with friends and family, cheesy t-shirts from Mr Price – I barf in my scorn. But, if you want to play the social media game, you have to play by the rules, and that means hashtags if you want your post to be discovered. And so, on Instagram, I dutifully put in the hashtags, even if it feels like I’m trading parts of my soul for it. And there’s nothing worse than one line of copy, and a paragraph of hashtags, and that’s one of the reasons why our dojo instagram account doesn’t have 10,000 followers. Take the time, energy, and money that you would’ve dedicated to buying followers, and focus instead on building genuine relationships with a real audience. If your content is engaging and authentic, your loyal followers will spread the word and engage with your brand without needing any bribes. Aye, there’s the rub. In a longer post. I’ve written about the day-to-day schedule a Sensei might have, but to paraphrase here: when you are running a business, it takes up the whole day when you’re doing it with all your heart. But on social media, no one can see your hard work. By its very nature, it demands that everything is effortlessly beautiful. All is glamorous and charming, all the time. But by karate’s nature, and that of any martial art, it’s definitely not glamorous. This isn’t yachting in the Bahamas. There are hours and hours of slog – of cleaning and administrating. Of drills done in the morning, when the dojo is quiet and it’s the only chance I have to train. No one wants to see that. Up and down, repetition after repetition. Who cares? Only me, and definitely not Facebook. Last week, it was alleged that American celebrities Kim Zolciak-Biermann and Kim Kardashian (both of whom regularly post pictures of their children on the internet) appeared to have… enhanced recent photos of their daughters, aged four and five. Their stomachs had been slimmed, their skin had been smoothed, and it was claimed (by gotcha account @Celebface) that Zolciak-Biermann had changed the shape of her daughter’s nose, and lifted her buttocks. Now, I teach a lot of really super cute kids, who look adorable in their karate suits. Do I post pictures of them posing to shore up my dojo ‘brand’? Absolutely not. I don’t even post pictures of my own child online, because I don’t like the idea of any of those tech giants having any more say or information on my life than they already have. I am especially strict about others posting about him online. Why would I then have separate rules for my students? As it is, I post only pictures of the top or backs of their heads – no faces, no tags, and no identifying markers. Instagram, and its users, obviously don’t swoon over this kind of content. It’s safe, and boring. Nothing cute about the back of someone’s little head. You have the right to take photos of anyone or anything if it can be seen from a public area. This includes parks, city streets and sporting events or concerts. This also allows for any private property or buildings to be shot from within the public domain. Any person and member of the public is basically wavering their right to anonymity or privacy by appearing in these areas and are therefore fair subject matter for images. This makes it interesting when you are dealing with parents taking photos of kids. It may be important to have a conversation about not sharing photos with other people’s kids in them, unless you stick an emoji over their face, as some people do. (Which is weird, but better than blurring their faces so that it looks like a documentary.) Here are some good guidelines about posting pics, and overall, my rule of thumb is that I try not to post standalone pictures of kids, and these days, only group photos, at a distance, where the faces are small and no one is tagged. All of this is even before we have a wider conversation about social media and its inherent problems, like how it is linked to the exacerbation of mental health issues in teens, or how it favours right-wing parties. Is this even something we want to be a part of? Overall, it is just easier to avoid all of this nonsense and risk, and unsubscribe from the unrelenting demands of social media, and especially Instagram. I know its 2019, and everyone, including their pug, is expected to have a social account, and a following. There’s even the careful monetisation of parenting, with moms (90% of the time, its moms) sharing how ‘exhausting’ parenting is, yet they have the time to make those damn cutesy letterboards with funny quotes and have perfect hair, and still be influencers getting paid that sweet dollar dollar for their twee posting. Parenting isn’t anything like that, and yet its now the new norm. 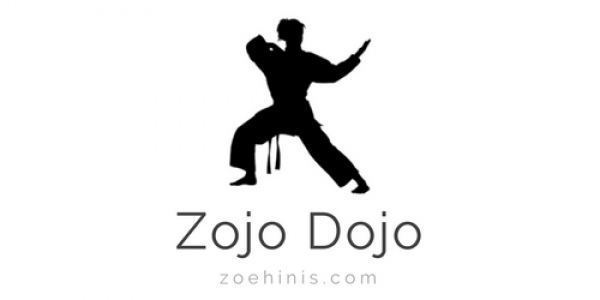 It all feels hollow, and pointless, and so antithetical to what a dojo is all about that it seems cheapening and soul-destroying to play the likes game. Because that’s all it boils down to: more likes = better, and how can I compete with someone who spends hours upon hours cultivating a careful artifice to attract those tasty likes? And why should we be forced to compete? It is important that students are not taught that their looks and image are more important than what they do. There is far more value to the qualitative life than the quantitative one, and social media actively promotes the worst in all of us. What message do we send kids when we post only their best, or use their tempers and failures as funny posts to get likes and comments? Karate is about long-term goals, the daily work of attending class and practicing. It is the integrity to work when no one is watching, to do the lonely, simple work that progress requires. It is also important that students are taught not to value someone’s training based on their posts. Some people will post literally every time they put their gi on, but that’s no indication of how hard they work, and what kind of person they are on the mat. Social media is the opposite of the simple life called for in the dojo kun, and while it might help us promote our dojos to passing customers, it can easily distract us from what is important: teaching good karate and values. I would much, much rather take the time to send photos I take of the kids in the dojo directly to their parents, so that they can enjoy seeing their kids’ progress. Especially for the parents who work full time and can’t come watch their kid train. I think that is a much better investment of my time than choosing hashtags.